The health screening is a specialty of many international hospitals which prioritize preventative health or medicine for patients. It’s a group of tests which measure the different parameters of the body’s bio-systems to determine if a medical condition exists. The results from the program can alert the patient if one of their parameters is outside the normal range which may lead to long term chronic illness, indicate the presence or risk of cancer, or detect a virus or other communicable disease. While a comprehensive health screening is easy to do for a hospital and fairly quick (it usually takes about 2 hours) it is not a common offering for hospitals in the U.S. or in other developed countries. In fact, most physicals in the U.S. are simply a blood work readout with a quick review by the doctor. However, in some cases, blood work is not even performed. By contrast, it’s a very standard and much promoted program in many international hospitals in Southeast Asia, Latin America, and India. It’s also gaining in popularity. Vitals include the basics such as blood pressure and body temperature. Blood work is done to check cholesterol levels, cancer markers, viruses such as hepatitis and HIV, and mineral levels. Urinary analysis covers kidney and liver function along with hydration levels and urinary tract infections (UTI). Physical analysis eye sight tests, hearing tests, flexibility, height and weight, BMI calculation, and lung capacity. A body examination is carried out to check for any abnormalities including an enlarged thyroid. A body composition test calculates fat and muscle levels. Heat analysis includes an EKG and a heart stress test done on a treadmill. The stress test raises your heart rate to 85% of the maximum rate so that the cardiologist can see how your heart performs and then recovers. The last tests are done in the radiology lab. They include a DEXA test which is a bone densitometer reading to check bone density levels of the spine and hip. Then a chest extra is done to check for abnormalities in the lungs. Lastly, an ultrasound scan of the abdominal organs is performed to check for abnormalities and tumors. Of all the tests, the most valuable is the abdominal ultrasound. The radiologist is able to view the abdomen, pancreas, prostate, gall bladder and stomach to detect anything out of the ordinary. Such a test can find tumors in the pancreas, an enlarged prostate, or polyps in the gall bladder. It is a simple way to examine the condition of the patients organs in that part of the body where many chronic illnesses occur. 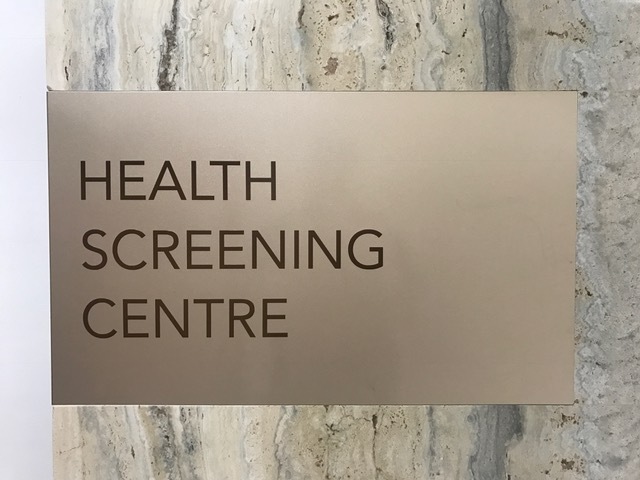 The screening also includes a thorough consultation with a doctor to review the results and make recommendations or even see a specialist if any concerns are highlighted. Additionally, if the patient visits the same hospital for the screening on a regular basis, the data from previous screenings is used to compare to current results to spot trends, positive or negative. The cost for the health screening in several hospitals in Malaysia and Thailand is about US$400. It can vary, however, based on the hospital and any additional tests that are added. Some screenings, for example, are geared towards cancer prevention and detection, and can include a colonoscopy and/or mammogram. This out of pocket cost is fairly low considering the range of tests that are performed and the data that is collected, especially since it may be life-saving. Focusing on prevention is the best way a hospital can help manage one’s health and catch chronic illness early on. The health screening offered by many international hospitals does this in a professional and efficient manner. Furthermore, once a patient goes through their first screening, they are more likely to think strategically about life decisions that impact their well-being!